The New York Knicks have officially waived veteran center Joakim Noah, putting to bed one of the most ill-fated free-agent signings in recent NBA history. The former Defensive Player of the Year is still owed $38 million over the next two seasons. Noah was unwilling to leave any money on the table to facilitate the buyout, forcing the Knicks to eat the entirety of his remaining contract, according to ESPN's Adrian Wojnarowski and Ian Begley. After a standout tenure with the Chicago Bulls from 2007-16, Noah signed a gargantuan four-year, $72.6-million contract with the Knicks in 2016. The ill-fated pact quickly proved disastrous, however, as Noah has played only 53 total games with New York (including just seven appearances last season), averaging 4.6 points and 7.9 rebounds in just under 20 minutes per game. Over the years I've been accused of not understanding things and saying the Knicks never win deals, win trades, win signings. Well now we can't even win waivings. I wanted Noah out but of course, he gives up nothing. hope Noah goes to the lakers. It would be great if he goes and wins a ring with the Warriors. Where is the goodbye joke i am noah thread? Whatever team Noah lands on, he had better milk one of those injuries for all it's worth and dodge any trips to MSG at all costs this season or else he'll get booed worse than anyone in recent memory at the Garden. Nononsense wrote: Whatever team Noah lands on, he had better milk one of those injuries for all it's worth and dodge any trips to MSG at all costs this season or else he'll get booed worse than anyone in recent memory at the Garden. No Noah appreciation thread here. Hard to think of a more negative player in Knicks history. Jeffries was an overpay but at least hid teammates loved him, remember J Lin's quote that if you didnt like him, you didnt know basketball. Once he developed his 3 point shot and revealed himself as a king fisher, we all kind of learned to accept him. Eddy shat a baby, ate a huge hamburger, and jerked off into towels in the back of his limo. But who can forget that string of 30 pt games or not feel sorry for a guy who was in a hostage situation? Marbs and Melo had their flaws but hit plenty of shots over their careers here. Jerome, maybe Jerome comes close. But he was an MLE signing, something that is inflation adjusted for sure. I'd have to basketball reference the millions per point and rebis and then do some cap math, but at least he didnt antagonize the entire organization. I'm sure many restaurnteers even had some affection for the guy. JOAKIM NOAH- WORST KNICK EVER! gradyandrew wrote: No Noah appreciation thread here. 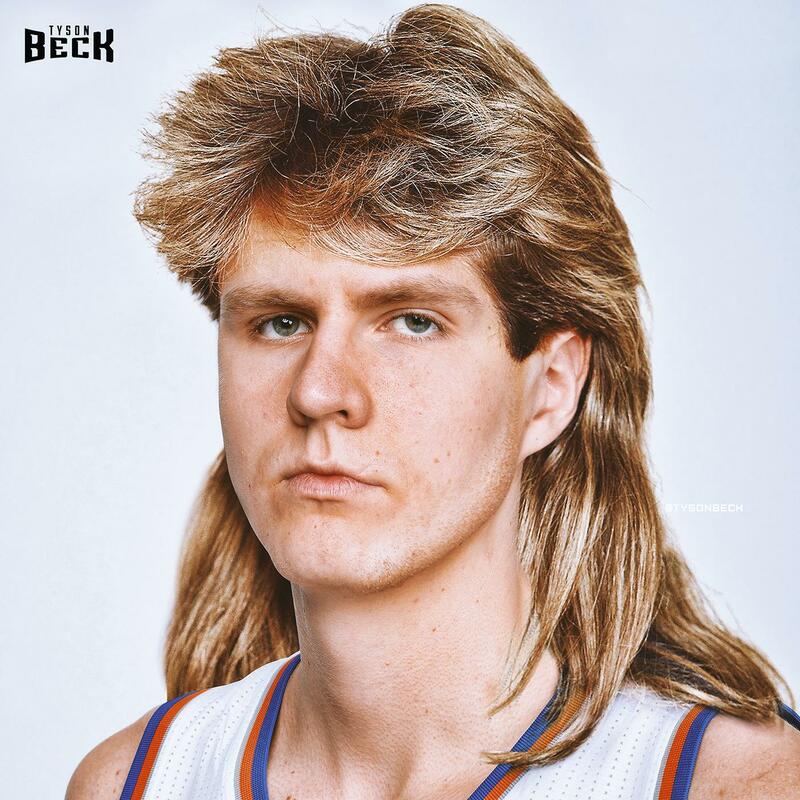 Hard to think of a more negative player in Knicks history. Jeffries was an overpay but at least hid teammates loved him, remember J Lin's quote that if you didnt like him, you didnt know basketball. Once he developed his 3 point shot and revealed himself as a king fisher, we all kind of learned to accept him. Eddy shat a baby, ate a huge hamburger, and jerked off into towels in the back of his limo. But who can forget that string of 30 pt games or not feel sorry for a guy who was in a hostage situation? Marbs and Melo had their flaws but hit plenty of shots over their careers here. An exclamation point on the Knicks' failed corporate structure in the past. Shuffling coaches and front office guys in and out, who then regularly give up on the big signings of their predecessors (or even of themselves) isn't a winning formula. Let's hope that this is now in the past and our current regime values everyone we still have on the team to get the most out of everybody. Real development from within can't work when you just focus on a few guys. spree#8 wrote: An exclamation point on the Knicks' failed corporate structure in the past. Shuffling coaches and front office guys in and out, who then regularly give up on the big signings of their predecessors (or even of themselves) isn't a winning formula. Let's hope that this is now in the past and our current regime values everyone we still have on the team to get the most out of everybody. Real development from within can't work when you just focus on a few guys. That's what I'm hoping as well. It's nice to rid ourselves of the Jackson era and be able to move forward finally. Really?! No appreciation Thread?! are you JOKIN? and no words from NY proven GM himself? You got to be kidding. Noah was suppose to deliver. He just had a string of bad luck. Prohibited drugs and the fact that he got Kyle OAKED! Seriously, guy will be out on a VENGEANCE and will become a MONSTER. Guy is a PROVEN NEGOTIATOR ( wowing Phil Jax and not giving up a cent) no doubt and will be picked up by Thibs in no time. I wish him well. That three point shot of his is looking legit . No joke! Last edited by maxinquaye11 on October 15, 2018, 6:29 pm, edited 5 times in total. ^^^^nope. Have a good life.